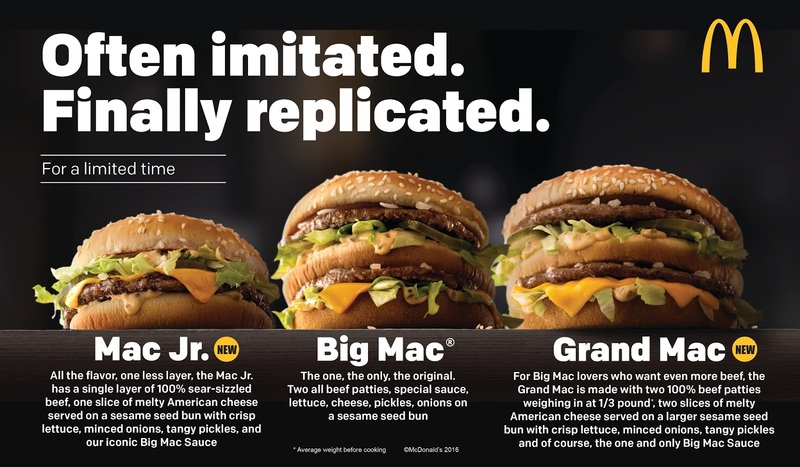 McDonald's in the states laughed 2 new Big Mac related items early in January this year, and they're called Mac Jr. and Grand Mac. To compare the size and taste, we bought all 3 sizes but without Big Mac Sauce because I hate mayonnaise; my husband got some sauce separately in a box container. 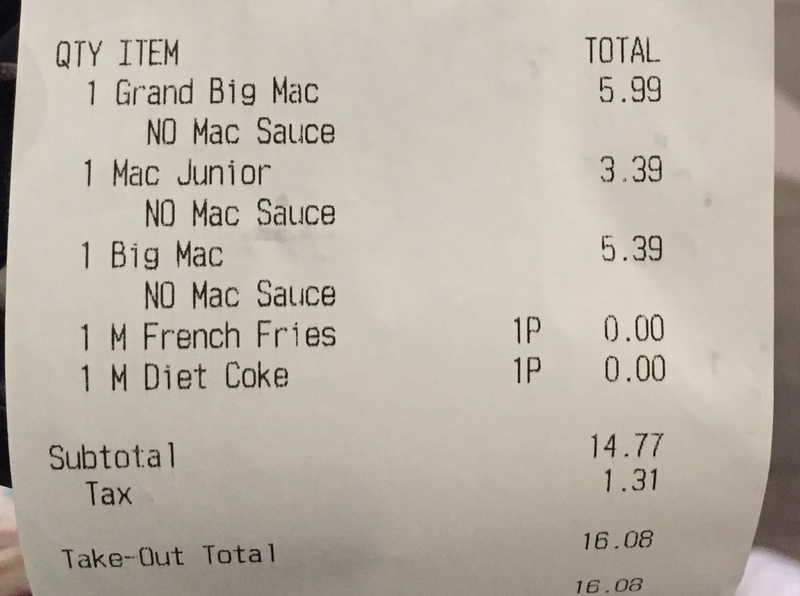 * Medium size fries and drink were free with coupons. From the left to the right, they're Mac Jr., Big Mac and Grand Mac. 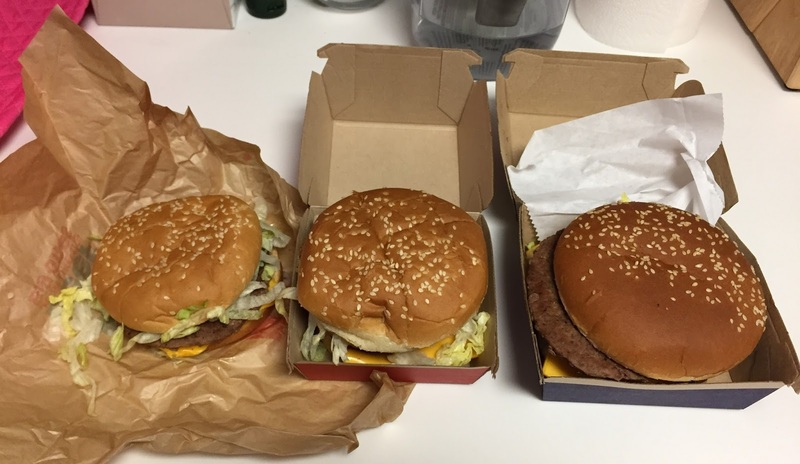 It's quite messy so that I decided not to take the burgers out from the box, and I realized the heights of Big Mac and Grand Mac are about the same. 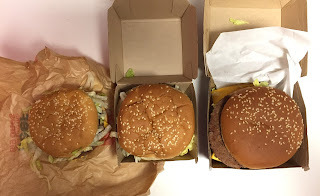 Mac Jr. and Big Mac use the same bun while Grand Mac uses larger bun, which was slightly darker than the regular buns. 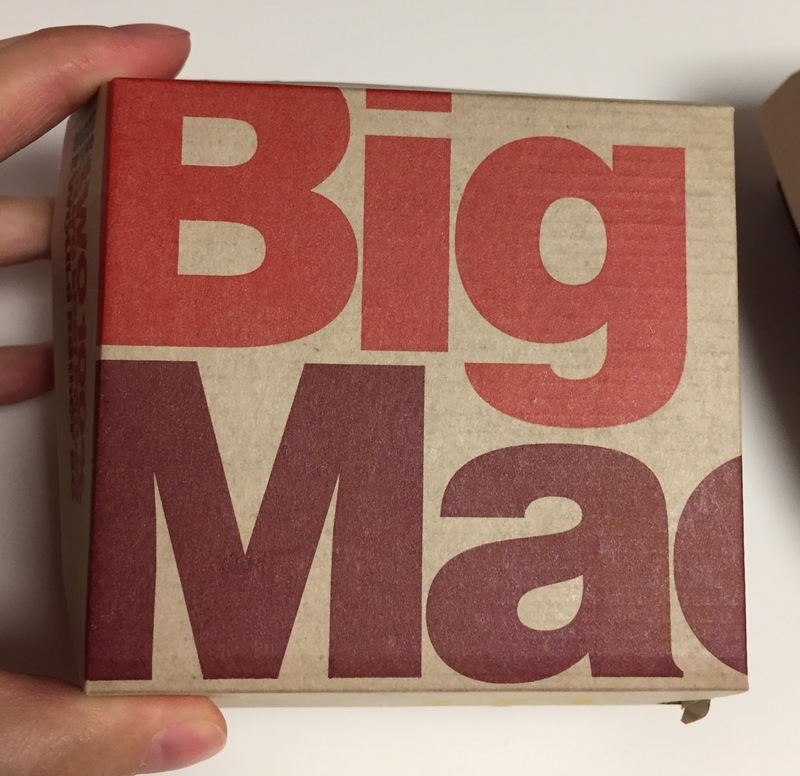 Among the 3 Big Mac products, Mac Jr. was the only burger which was wrapped in a paper, not served in a box. 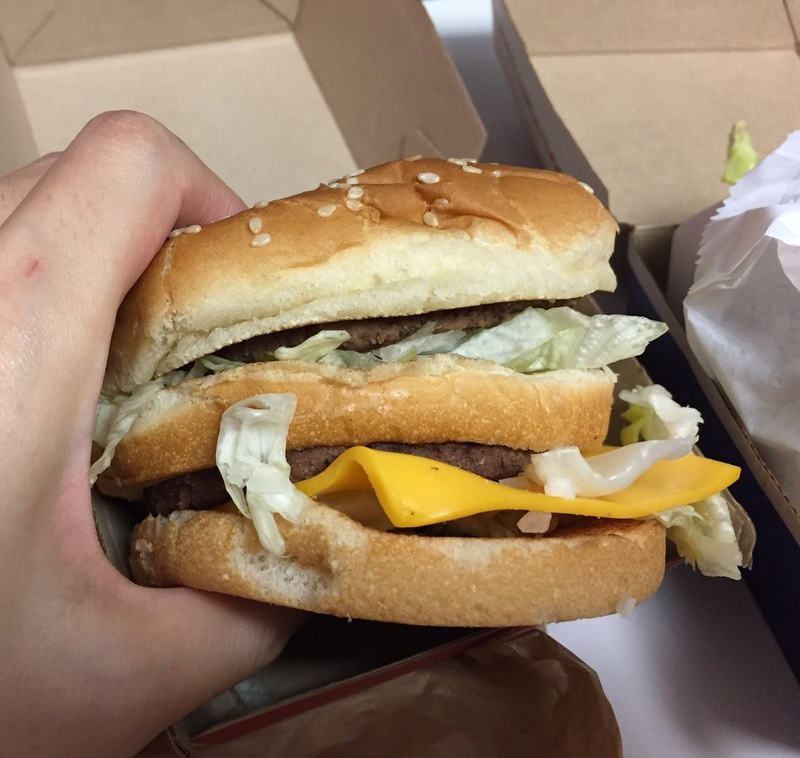 All the flavor, one less layer the Mac Jr. has a single layer of 100% sear-sizzled beef, one slice of melty American cheese served on a sesame seed bun with crisp lettuce, minced onions, tangy pickles and our iconic Big Mac Sauce. 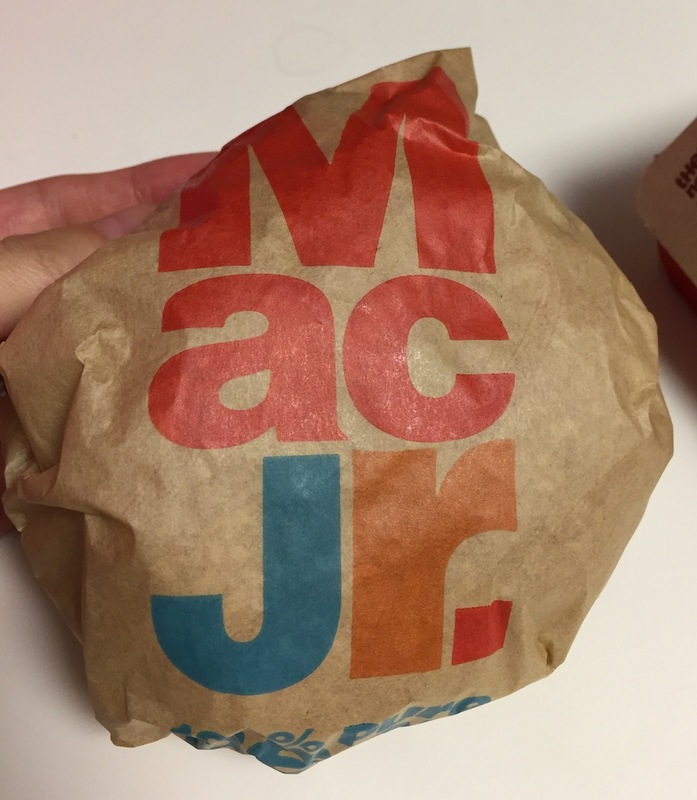 As written in the description, Mac Jr. is Big Mac minus middle bun, a patty and lettuce. I think it's suitable for when you're craving a burger with Big Mac Sauce but not hungry enough to eat a Big Mac. The one, the only, the original. Two all beef patties, special sauce, lettuce, cheese, pickles, onions on a sesame seed bun. All the slices of bun had the same thickness and they're soft and moist, and wherever I bit into, I had all the crispy lettuce, onions and pickles. The box says, "You're gonna need two hands" and I thought it'd be heavy though the height didn't differentiate from that of Big Mac. For Big Mac lovers who want even more beef, the Grand Mac is made with two 100% beef patties weighing in at 1/3 pound, two slices of melty American cheese served on a larger sesame seed bun with crisp lettuce, minced onions, tangy pickles and of course, the one and only Big Mac Sauce. 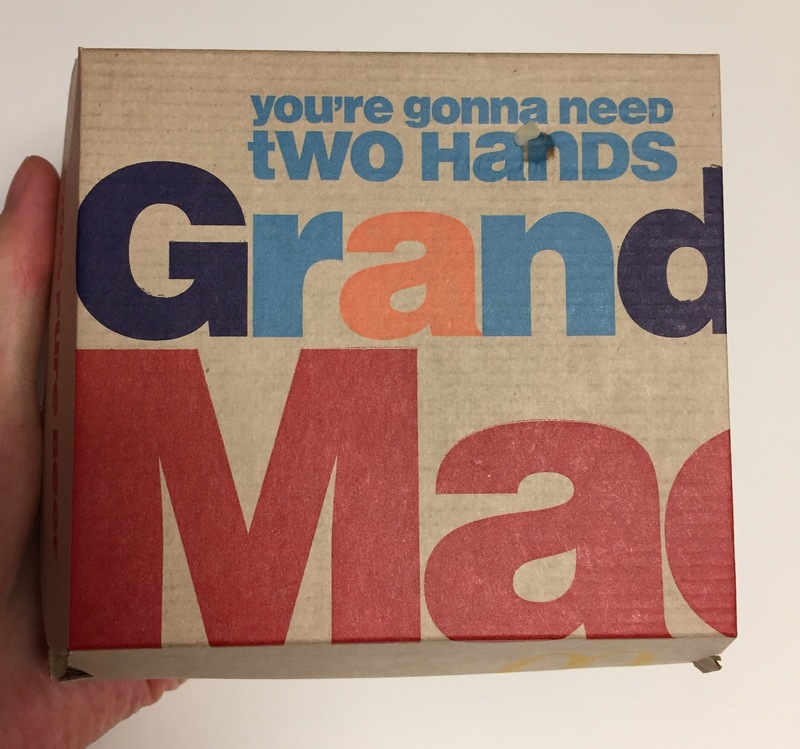 Maybe because the box of Grand Mac had a mini message "you're gonna need two hands," a half of the burger was placed between a white paper. 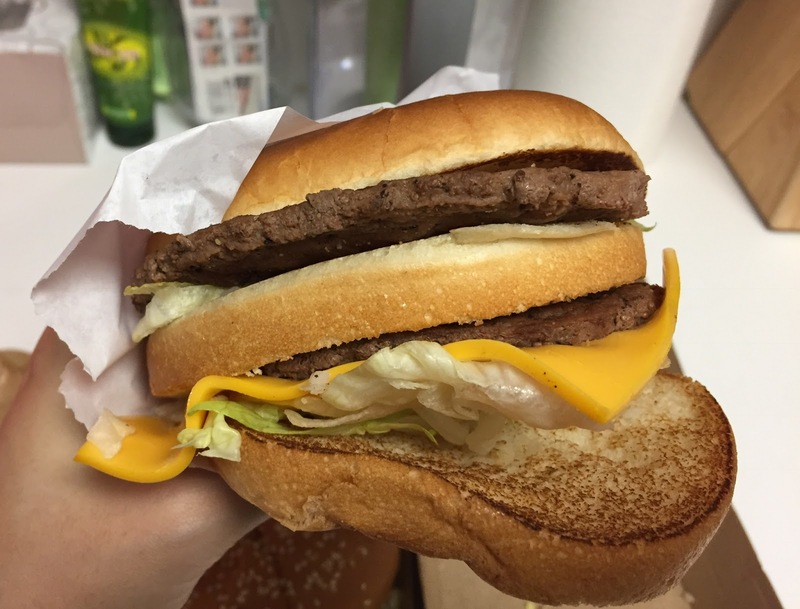 There should have been 2 slices of cheese, but there's only one and it's disappointing. 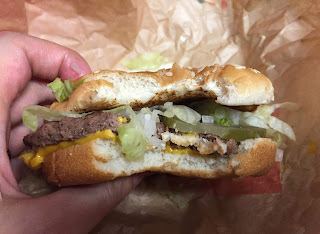 The top and bottom buns were both dried, and the slice in the middle was crushed due to the weight of the patties and soggy from soaking up the water from lettuce. 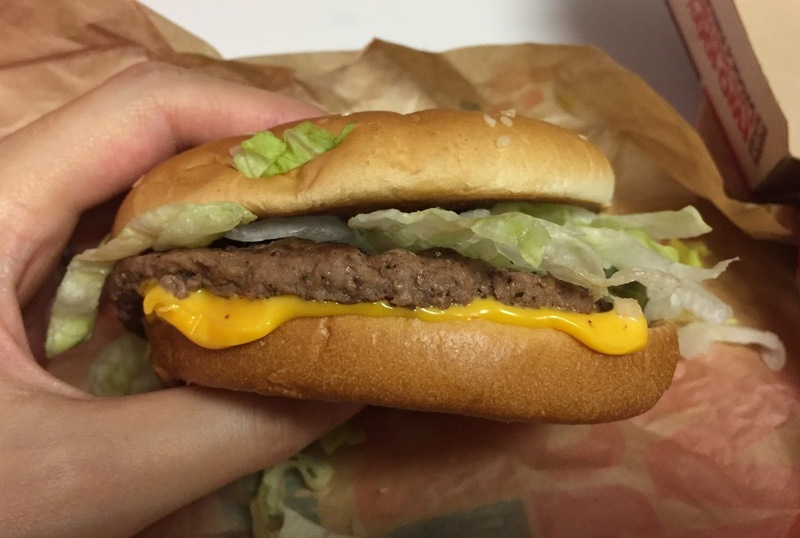 I was hoping the bun would be tasty, however, they're so dry and not sweet but just large, and the patties weren't juicy despite of the size. 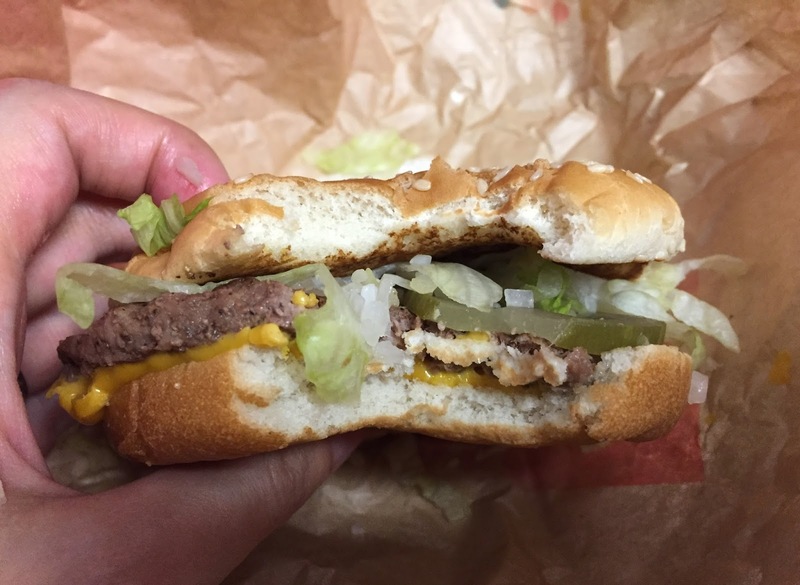 It's like a "sad taste burger with 60 cents more than a Big Mac." After the taste tests, I thought the classic Big Mac was the best.